Have you ever heard the famous sunset dinner Jimbaran Seafood? Most of domestic and international tourist only know about Jimbaran Seafood, without ever know about Kedonganan Fish Market (Pasar Ikan Kedonganan). 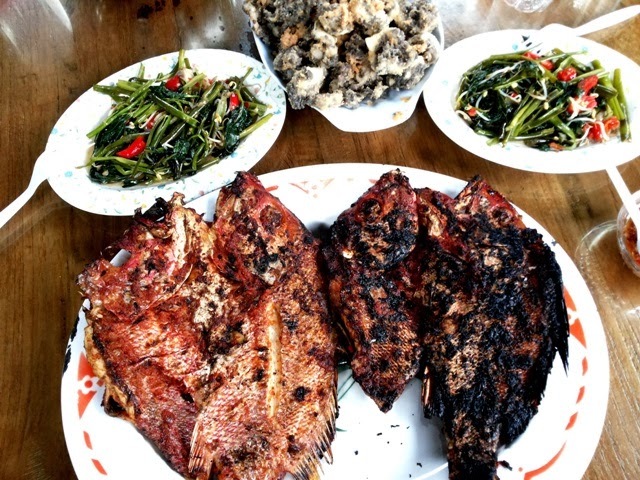 Placed in Jimbaran, Kuta Selatan – Badung bali, this Kedonganan Fish Market easy to founded, north section in seafood restaurant, near the Kedonganan Beach. As the biggest and most equipped fish market in Bali, this market visited by people from every segment. Unique that most of fish seller in this market is not only the origin people from bali, they are immigrant from Java that already stay longer in this territory. 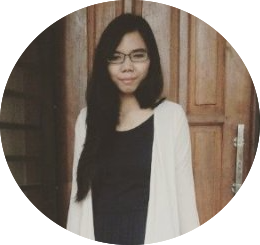 So, it is no wonder if we find the seller that communicate or making a dialogue in java language to each other. Domestic and international tourist come to this renowned fish market, because of this place that become the main supplier for seafood restaurant in the heart of Bali, and also one of tourist attraction too. Hunting seafood become a different experience when we walking around for choose the best fish quality with best price too. 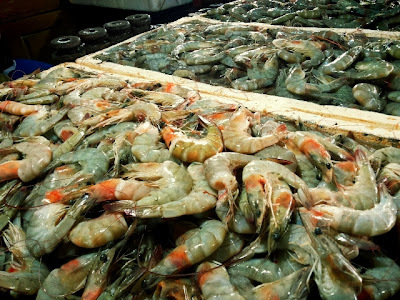 Fresh fish in this market is the most important value for seafood lover to found many kind of shrimp, squid, crab, lobster, Tuna, Kakap, etc. Come to this area we will be welcomed by putrid taste of fish with seller that promote their fish with louder. Special ambience of traditional market is a different characteristic with semi permanen shop from wood. Variation of price rate make people have to smart when make dealing with seller. For dining today, we choose cumi-cumi 1,3 kg with only IDR 50.000 and 2 kg Kakap Merah IDR 40.000. In this rainy season like this, we have to aware that the increase of price probably happen, because they only get little fish then usual. After buy sea product, we choose a small shop in near fisherman village to enjoy the delicious seafood dining. Usually many small shop in here offer cook service, such as fried, roasted until grill. For once, we choose roasted kakap and fried cumi-cumi. The great fun dining experience in this fish market make us get the unique sensation since choose fish until cooking process. The authentic taste with special spices as good as expensive café and restaurants. So, do you want to get this unique fish dining experience? 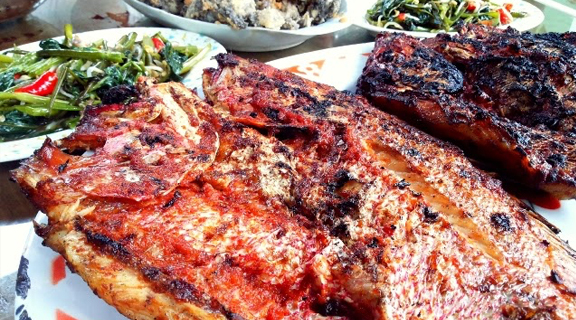 Try and visit this legendary fish market at Kedonganan beach.